Our scientists have been working with local artists to create a series of short films inspired by their research. The films are inspired by research presented in a series of 5 minute talks by scientists recorded as part of the Ignite UBath events held at the University. The videos cover diverse research projects from designing new solar cells, to how we can make a real life Star Trek-style tricorder to monitor our health. They will be screened at an exhibition organised by Fringe Arts Bath (FaB), Ignite UBath and the University’s Public Engagement Unit at 44AD Artspace gallery in central Bath from 27 January to 1 February 2015. The exhibition will be accompanied by a series of talks, a science-themed scrabble evening and science/art workshops. Visitors can also meet the artists and researchers behind the exhibition at a private viewing on Friday 30 January, 6.30-9pm. 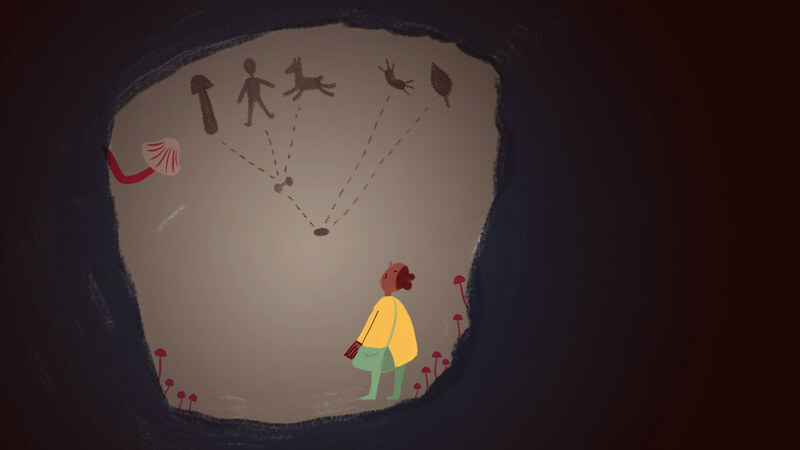 Dr Stephanie Diezmann, a Prize Fellow from the University’s Department of Biology & Biochemistry, collaborated with artist Tamara Webster to produce a movie inspired by her work understanding what makes some fungi so toxic to humans. Dr Diezmann said: “Each year fungi kill as many people world-wide as malaria or tuberculosis. My research is interested in how a protein called Hsp90 enables these fungi to cause disease in humans and how we can stop this. “I worked with Tamara Webster who is an animator/storyboard artist. We met twice in Bristol and exchanged numerous emails in the process of turning the Ignite talk into a short movie less than two minutes long. “It has been amazing to watch how a science talk comes to life as a moving picture - my talk has turned into an amazing story told in wonderful animations. “I decided to do this project out of sheer curiosity, to see what kind of response my research would elicit. It was fascinating getting to know an artist and trying to explain my research to people in a new way. Artist Tamara Webster commented: “Encapsulating Stephanie's 5 minute lecture into a narrative was an interesting challenge, especially visualising specific scientific facts. “Usually I research a subject myself to create imagery, so it was great to work with Stephanie and have her help shape the story and check my understanding.